When I was at home my parents had to make a trip up to the PWS warehouse to change out some machine parts for the laundromat. PWS is in South San Francisco so Chinatown is just a hop, skip and a jump away. Naturally, my mom insisted that we make the visit to pick up some goodies to accompany the pricey array of teas they purchased at what I believe to be the Ten Ren distribution center. 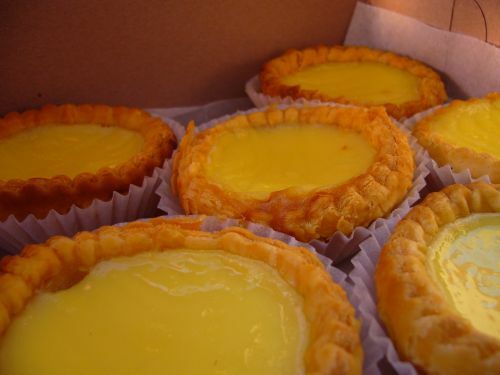 When I was still living in San Jose, we would often make the hour drive up to SF Chinatown to hang out for the day and buy foodstuff that was much more superiorly made than at any shop you could find in the South Bay(San Jose, Milpitas, any city at the southern tip of the bay). At one point we were going up every weekend and it sorta bugged me. After all, there is so much more to SF than Chinatown but to my parents this was what SF was so we did visit other parts but rarely. 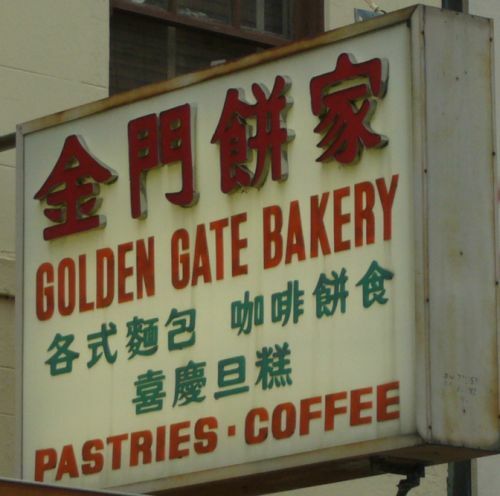 On this particular trip we first stopped at Golden Gate Bakery. What trip to SF Chinatown is complete without a stop at this legendary bakery? My first memory of this shop was waiting in a line that stretched out the door and seeing an elderly lady rush home with 5 dozen dan tats (egg tarts). These dan tats aren't exactly Chinatown priced either. At $1.10/a piece, I believe its on the pricier side. However, once you bite into one of these bad boys you'll see that it's totally worth the wait and the price. Flaky goodness combined with eggy, fluffy, silky custard. Allegedly there's an egg in each tart. My one beef with this place is that they've gotten a little cocky with their operation. Just randomly a sign will be placed on the door that says they're on vacation for x weeks. There's gotta be more than a dozen other bakeries within walking distance and they can still take off on a moment's notice with the customer base unwaivering- that's staying power. 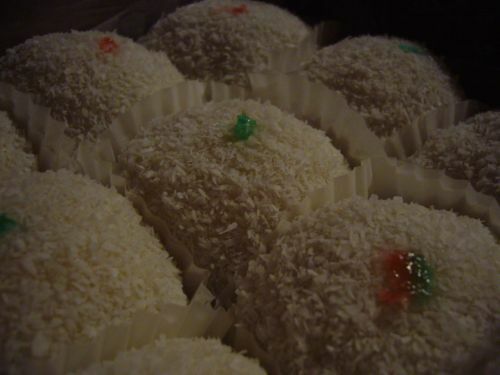 I spotted a new item at GG Bakery , loh mai chi aka snowballs. One was filled with peanuts and shaved coconut, the next red bean and lastly lotus seed. I rarely get these sweets because I tend to find it too sweet for my taste however since I had never seen it at this bakery before I decided to give it a run. The gluttonous rice wrapper reminds me of fresh Japanese style mochi - so soft, melts in your mouth and the the fillings weren't overly sweet. I found the lightly sweet sticky treats to be quite satisfying paired with the slightly bitter and nutty wild ginseng tea my parents had purchased at Ten Ren. 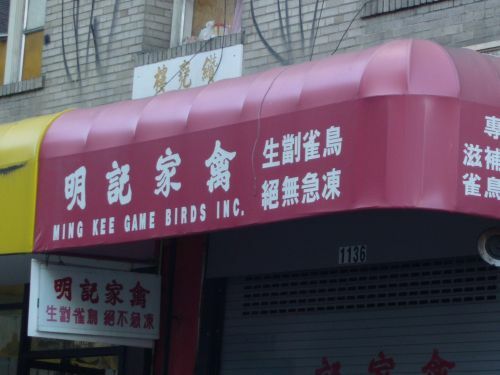 Down the street I spotted that Ming Kee Game Birds store aka stinky bird store was closed. I took a picture of the sign since even if it was open, no picture taking is allowed inside the store. My parents raise chickens and pigeons and when we used to have a lot they would stop by this store and exchange some of our birds for silky hens(white fluffy feathered birds with black skin/flesh) to cook up in Chinese herbs. My parents stopped by Yong Kee bakery (there's my dad) to purchase some steamed buns and savory rice cakes. There are some barely visible letters on the window so look for the address instead. Yong Kee is a much more unassuming bakery than GG bakery with no lines out the door not that GG is fancy. It's just that you don't find the boastful air here. 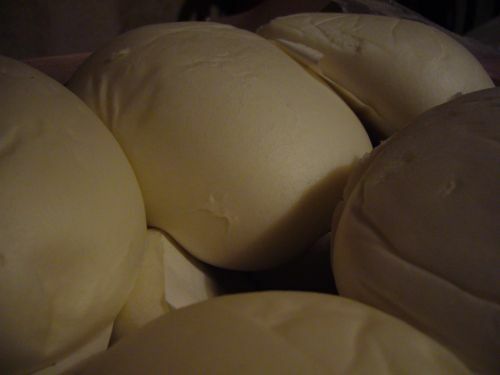 My parents are very fond of their steamed buns so they bought a box of plain, red bean and lotus seed buns. I sampled the plain bun that night and I found it to be quite tasty- light, fluffy with a hint of sweetness. 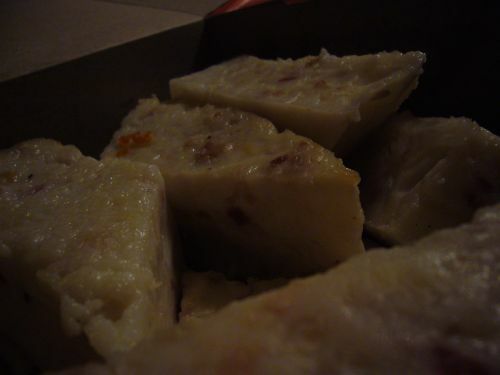 I didn't get a chance to taste the rice cakes but I trust that my parents believe it to be quite tasty. 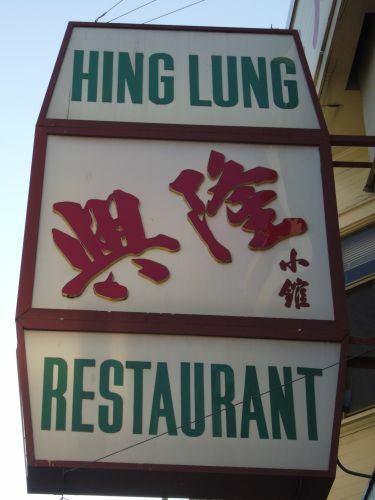 It was nearing dinner time so we stopped by Hing Lung for dinner. 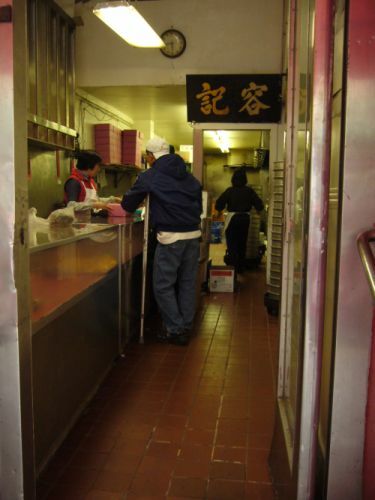 I love the congee, rice noodles and you tiao (Chinese doughnuts) at this place. They make everything in house so its cool to watch the thin rice noodles and light hot crispy Chinese doughnuts being made at the front of the house. We came too late on this particular day as they stop making rice noodles at 3pm. So I ordered my usual hot steaming bowl of chicken congee with creamed corn and sliced Chinese doughnut on the side. It was a particularly windy, cold day so this comforting bowl was perfect before braving the journey back to the car. They make both savory and sweet versions of the doughnut which you can purchase at I believe $1.30/1 savory or 3 sweet doughnut(s) at a small window in the front to snack on while wandering around Chinatown. Argh!! We just can't get that kind of Chinese food in San Diego. I love visiting home (LA) so we can have some good eats. 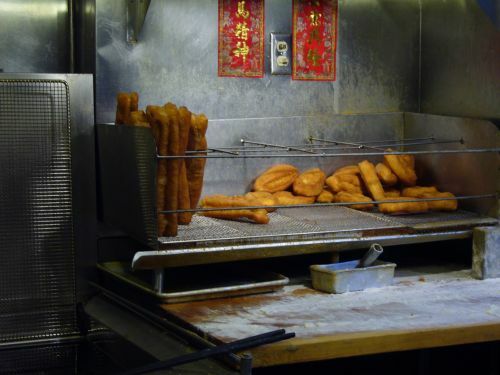 Those daan taats look awesome and I would kill for a you tiao right now. I'm keeping your post in mind for my trip up there next week! I miss eating this stuff already. I'm always sad when I think about the food options of the Bay Area compared to SD. But then I think about the weather and it sorta makes up. I love hitting the bakeries in SF Chinatown. I wish I got there more often. These places are must visit next time you find yourself in San Francisco. Hope to see you at Eclipse Chocolat's Open House/SD blogger meet up. hmmm, I can walk to these places at lunchtime... it's very dangerous! 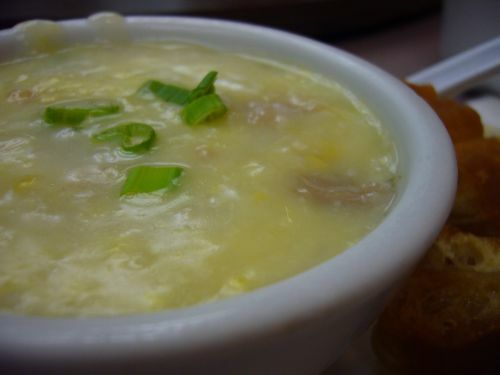 I must try Hing Lung again, the jook looks so delicious. Great trip report and photos...I live in Chinatown and that was a perfect walk/day in CT!